Profit Guru(website "www.Profitguru.co.in") would like to thank you for visiting our Website. 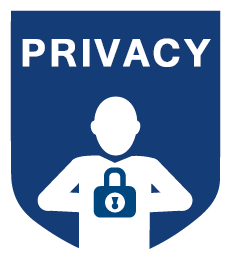 Respecting the Privacy and choices of our online Customers and Visitors is important for us. We hope that the information provided below will address any questions or concerns you may have about Privacy issues. Profit Guru is fully committed to safeguard your personal information. We must obtain some basic personal information like Full Name, address, telephone numbers, Email address etc. from you to provide you with the Profit Guru services. This information is helpful to both Profit Guru and you to fetch services easily and to connect in time.From time to time, we may request your valuable feedback for the evaluation of the services that Profit Guru provides and changes if you prefer any. We might invite you to actively participate in polls or surveys that may be posted on our website or mailed to you directly. Participation in survey or polls is completely voluntary.As there is a great risk of giving your personal information and we understand your concern, so, our way of maintaining the information is such that we assure you of the points:We only use your personal information to provide you the service at your account, to take your feedbacks, to take suggestions regarding any improvement material, and to update you about additional products or services that may be of interest to you. We do not leak your personal information to third parties who does spamming. We however, may share selected information under certain conditions as part of normal business operations under confidentiality agreements. All information regarding Payment Gateway will be safe and secured for our site.Note: Our site may contain links to other websites. Profit Guru is not responsible for the privacy practices or the content of such websites.